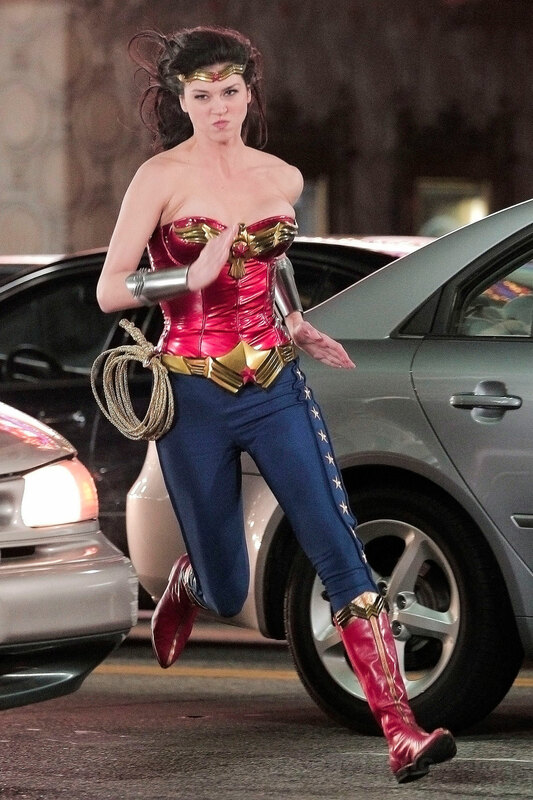 Okay, so pictures have now surfaced of the shooting of the pilot of the new Wonder Woman remake. Last month, I was a little skeptical of the choice made in the lead character, and in the new outfit she would be wearing. I mean, Wonder Woman in pants?! It's ridiculous. Anyhooo...I'm beginning to warm up a bit on Adrianne Palicki as Wonder Woman. A bit.